Date: Saturday 22nd December 1984. Score: Wolverhampton Wanderers 0 Leeds United 2. Scorers: Wolverhampton Wanderers: Nil. Leeds United: F. Gray, McCluskey. Wolverhampton Wanderers: Flowers; Humphreys, Barnes (Dougherty): Dodd, Pender, Herbert; Ainscow, Evans, Langley, Buckland, Crainie. Leeds United: Hughes; Irwin, Hamson; Sellars, Linighan, Aspin; Wright, Sheridan, McCluskey, Lorimer, F. Gray. Referee: Mr A.N. Buksh (London). When Leeds United and Wolves fell through the top-flight trap door in the early 1980s the duo were labelled "fallen giants". With recent domestic success and European adventures still fresh in the mind, the tenure of Leeds and Wolves in the Second Division was viewed as something of a temporary measure. 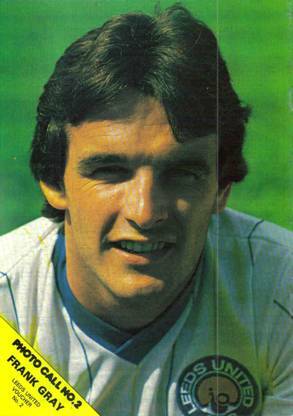 Leeds fell through the trap door in 1982 and were persistently billed as pre-season favourites for promotion while Wolves came down in 1984 and, despite suggestions of financial difficulties, were expected to bounce straight back. 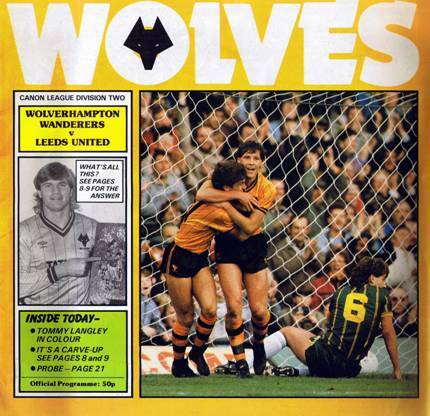 But, while some of the other so-called big name sides in the Division, ensured their stay out of the top-flight was a short one, Wolves had even won promotion themselves in 1983 after suffering the drop with Leeds, and neither club appeared comfortable away from the elite. Expectancy levels were high, opponents relished the visit of the big-name duo, and both Leeds and Wolves boasted proud histories that went before them. In fairness, Leeds were fairly well-placed going into the pre-Christmas showdown between the two sides at Molineux in 1984, but Wolves were a club hovering over the abyss. An immediate return for the Black Country outfit was already out of the equation and their only escape route from the Second Division appeared to be via Division Three! While Eddie Gray's United had suffered just two defeats in nine, Wolves had won just one in six and had been on the wrong end of thumpings from Blackburn, Huddersfield and Grimsby. In short, all was not well at Molinuex and Wolves were already locked in a relegation battle with Cardiff City and Notts County. United, however, went into the game on the back of a 1-0 defeat at the hands of promotion-rivals Birmingham City, and victory was a must at Wolves to set Leeds up ahead of the busy festive programme. 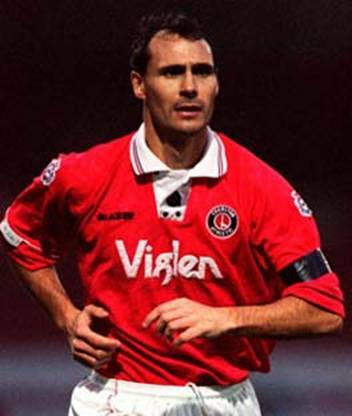 Gray's preparations were dealt a huge blow in the build-up when Andy Ritchie, United's in-form marksman with five goals in three outings, was ruled out with injury, and George McCluskey was drafted in from the cold. 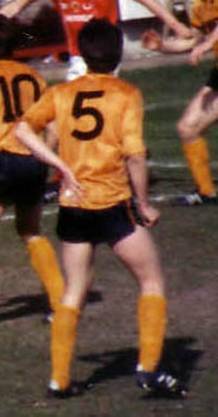 McCluskey, the former Celtic striker, had only withdrawn a transfer request earlier in the week, yet the Scot went on to turn in a match-winning performance for United in the Midlands. The 27-year-old scored United's second goal in the 2-0 success at Molineux. Eddie Gray's younger brother Frank had given Leeds a first half lead after great work by veteran Peter Lorimer. And suddenly the former Celtic striker had thrust himself back into contention for a regular starting spot. Boss Gray was full of praise for McCluskey, reports described it as a "satisfying return", and the striker responded by bagging another goal in the following game, a 2-1 loss at the hands of Blackburn Rovers on Boxing Day. 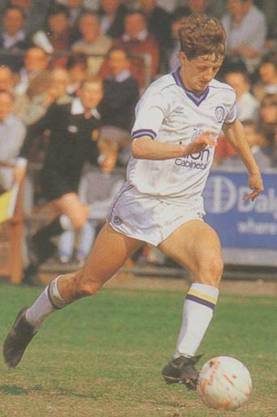 That strike, though, turned out to be McCluskey's last of the season and, despite persistently flirting with the promotion places, Leeds were ultimately undone on the final day of the season when they suffered another 1-0 reverse at the hands of Birmingham City. In contrast, Wolves fell through the trapdoor again after picking up the wooden spoon and were soon in the bottom division and in financial hell by 1986. It took a full two years for the club to pick itself up again and by the time Leeds and Wolves met again in the second division, during the 1989-90 season, the "fallen giants" tag was still doing the rounds, and, incredibly, the same expectancy levels hovered over the two old rivals. Yet, while United and Wolves went their separate ways in 1985, McCluskey waited another 12 months before saying his farewells to Leeds. 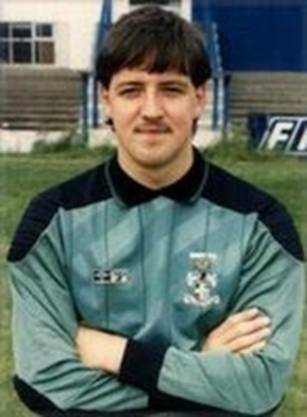 The one-time Scottish Under-twenty-one international returned north of the border where he had spells with Hibs, Hamilton, Kilmarnock and Clyde before retiring at the age of 39. McCluskey went on to set up a taxi business in Glasgow and later coached youngsters at Celtic. If it had not been for a series of good saves from Tim Flowers, the young Wolves goalkeeper, Leeds would have won by a far greater margin. They took the lead in the thirty-fifth minute with a hard shot from Frank Gray after a short pass from the busy Scott Sellars. 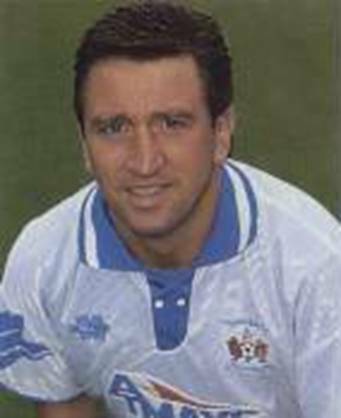 Then, in the fifty-second minute, George McCluskey guaranteed the points with a superb angled chip over the head of the advancing Tim Flowers after a good pass from Frank Gray. Wolves, who were flattered by the score-line, were pinned back in their own half for long periods, with Flowers doing well to dive and hold another shot from the unmarked McCluskey. While Scott Sellars fired a thirty-yard drive that flew inches wide of the target. The enterprising Leeds forwards took full advantage of the many gaps in the Wolves defence and the home supporters staged a brief pitch invasion after the break as a mark of their frustration. 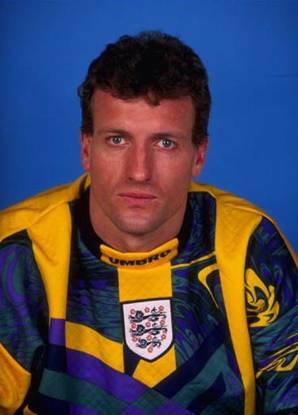 Tim Flowers made one marvellous save to finger-tip over the cross-bar what looked like a certain goal from Tommy Wright and then he denied the same player, when he went down to hold his shot from the edge of the box. Wolves threats on the Leeds goal were rare and they had only two good efforts, a weak header from Mark Buckland and a low shot from the enthusiastic Alan Ainscow that Phil Hughes pushed round the post. Wolves were then struggling with gloom and despondency on the pitch and unrest in the boardroom which could have meant the departure of their chairman Derek Dougan, just two years after he had helped save the club from extinction. But Leeds were marching on and the victory, their fifth away from home that season, took them into fifth place in the Division Two knowing a good Christmas programme would re-enforce their bid for promotion.